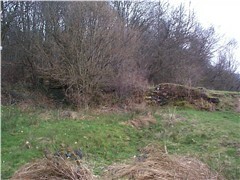 Various factors, including foot-dragging by the Trent and Mersey Company, delayed the start of construction until 1807. 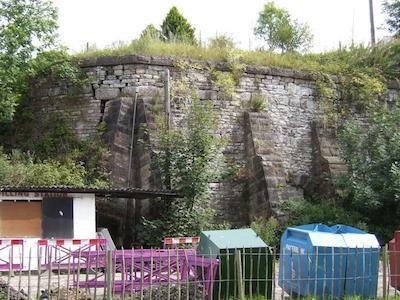 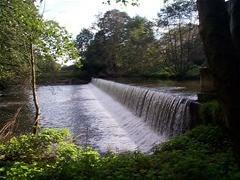 The project was overseen by John Rennie, who also engineered the 1804 Caldon Low Tramroad. 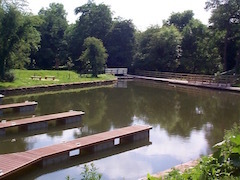 The work proceeded in a leisurely fashion, although it was completed to a high standard, and the canal was opened in stages between 1808 and 1811. 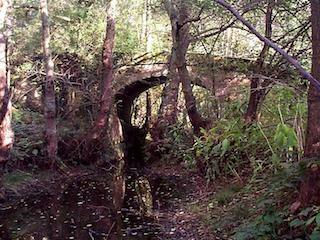 A planned branch to Hanging Bridge, near Ashbourne, was never built. 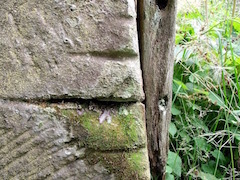 In the absence of big piles of money for restoration, the first priority is to preserve what remains, preferably with volunteer labour. 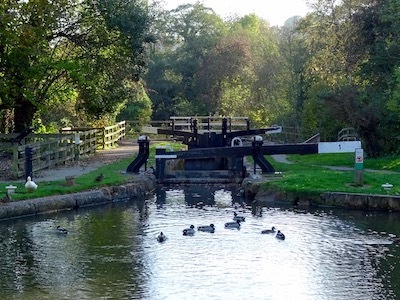 To this end, the Churnet Valley Living Landscape Project, with the Caldon and Uttoxeter Canals Trust and the Waterways Recovery Group, is targeting the canal between Alton and Crumpwood. 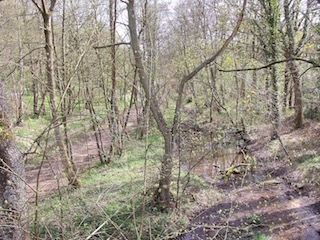 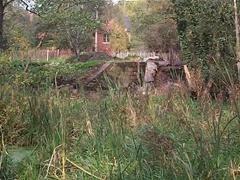 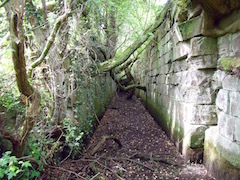 At Crumpwood, the old railway crossed the Churnet on a bridge, leaving an intact loop of canal around Crumpwood Weir, with the remains of two locks and the almost-intact Seventy Bridge. 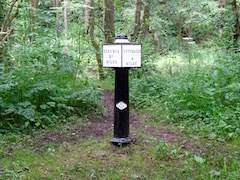 The towpath between the former railway and Seventy Bridge was resurfaced in 2014 as part of a program of works in the area, including tree clearance and the removal of vast amounts of Himalayan Balsam. 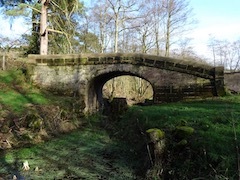 The bridge, itself, had to be the subject of a compulsory purchase order before it could be worked on, because no-one knew who owned it. 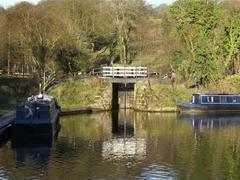 It was subsequently repaired with new coping stones, a new deck and re-pointing. 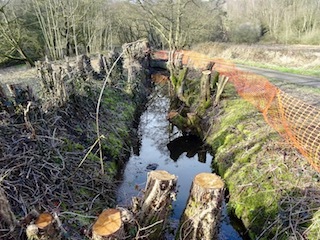 Clearance around the weir has removed potentially damaging tree growth from it and the flood lock and exposed the remains of Carrington's or Weir Lock, a shallow lock which lowered the canal to the level of the river, so that boats could pass across the top of the weir.